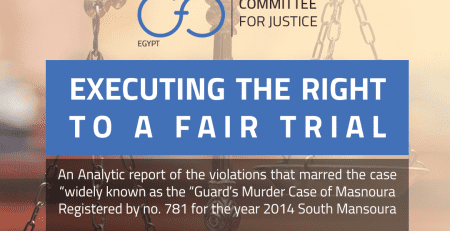 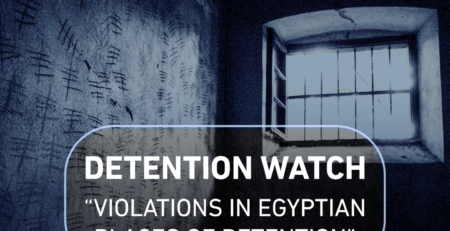 Following CfJ’s first report on human rights violations against detainees in Egyptian detention places for the first two months of 2017 (January and February) Detention Watch project proceeds in this issue to provide an analytical overview of the human rights situation in Egyptian detention places – formal and informal – while holding the authorities accountable of their obligations mandated by law (Egyptian constitution, Egyptian criminal law, and international human rights treaties Egypt has signed). 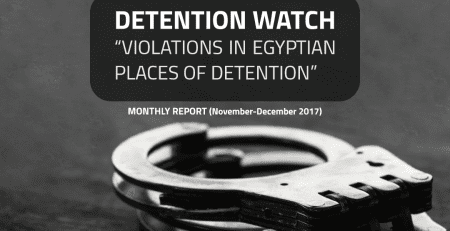 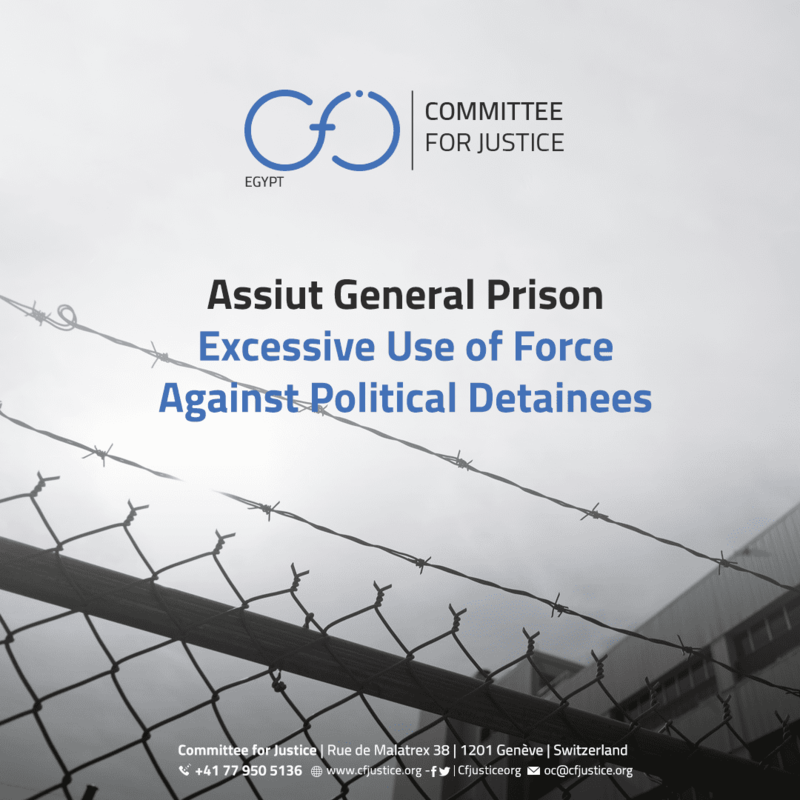 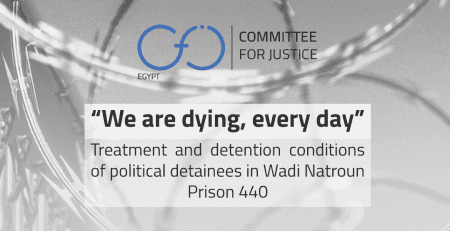 Al Aqrab prsion – just like the first two months of 2017 – remains the detention place with the highest number of violations reported across all of Egypt. 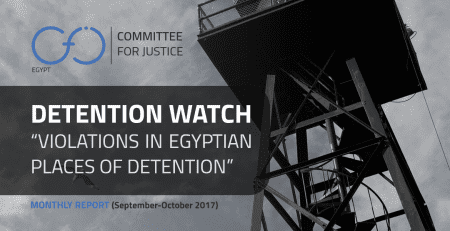 19% of the cases of medical negligence and torture violations took place inside AlAqrab prison both in March and April 2017. 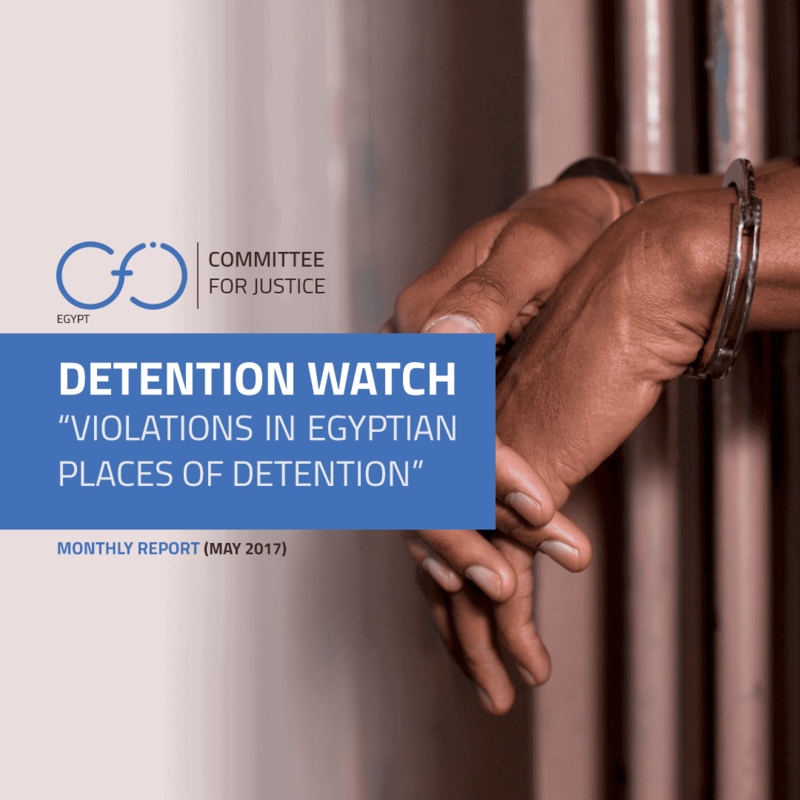 Geographically, Cairo and ElBehira governorate set with highest records of violations, followed by ElMenoufia and Alexandria. 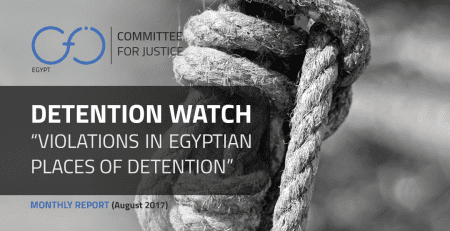 The most targeted age group is youth (16 – 30), followed by an older generation (31 – 50), then finally the elderly (above 50). 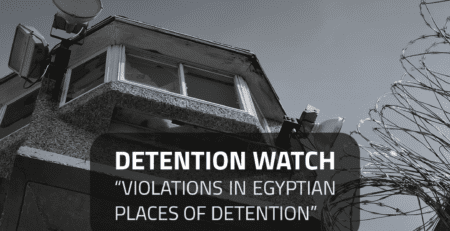 Most of the arrests were done by both police forces and state security officers. 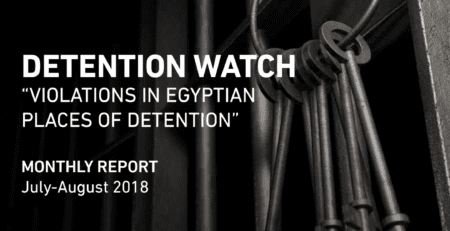 95% of the cases that were subjected to violations were also subjected to enforced disappearance, mostly ranging from a period of 1 week up to 1 month of time.